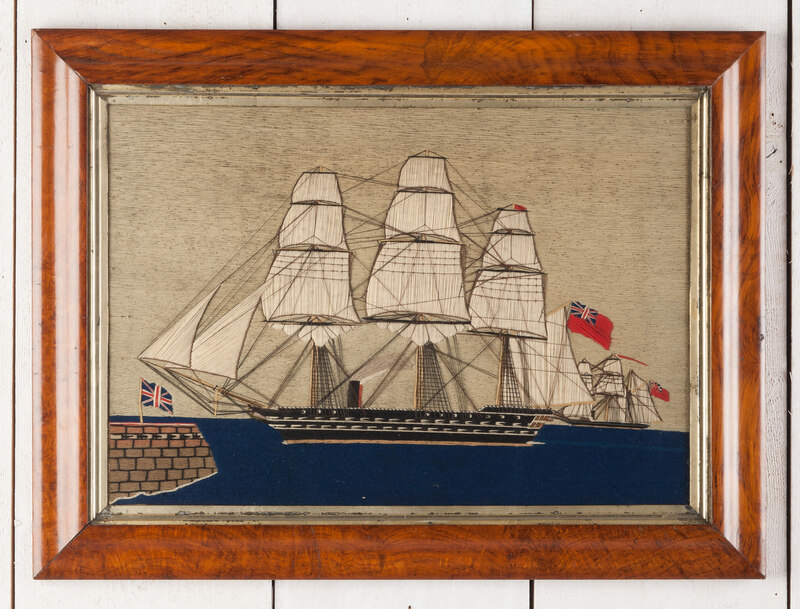 A sailormade woolwork picture depicting two Royal Navy ships of the line passing a fortified headland. English circa 1850. In a fine oak frame of the period.